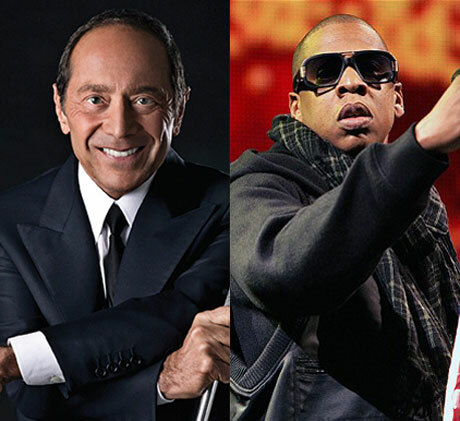 Beefs 2013: Jay-Z Won't Return Paul Anka's Calls! Jay-Z has beefed before with the likes of Nas and Syl Johnson, but now the rapper has raised the ire out of a most unlikely music figure: Canadian-born singer-songwriter Paul Anka. The crooner has revealed he feels no puppy love for Hova, noting the rhymer neglected to call him back about a collaboration. Anka delivered the missive to TMZ during an impromptu street interview that started off with the singer fondly discussing team-ups with Michael Jackson, Leon Russell and Dolly Parton. When the interviewer broached the topic of rappers, Anka went on the attack about the "inappropriate" behaviour of Jay-Z, especially considering he sampled the Anka-penned "My Way" for The Blueprint 2: The Gift & the Curse track "I Did It My Way." "I called up Jay-Z because he did a track of 'My Way' where I loaned him the track," Anka said. "I wanted to put him in on a rap with Michael Jackson in the middle. I called him up, but Jay-Z has totally blown me off. He won't answer my calls, he's inappropriate in his behavior. I love his wife, I think she's great, but Jay-Z wouldn't return the call." Jay-Z hasn't responded to the accusation, but when asked as to why Anka didn't hear from Jigga, the crooner guessed, "He's too busy with his clothing line, who knows." We suggest it might also have something to do with Jay-Z's upcoming Great Gatsby score or the upcoming "Legends of the Summer" tour with Justin Timberlake.